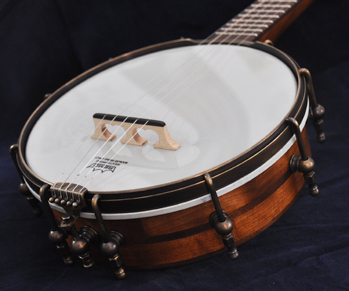 Piccolo banjo designed and built for a four year old but is fun to play as an adult and easy to travel with. 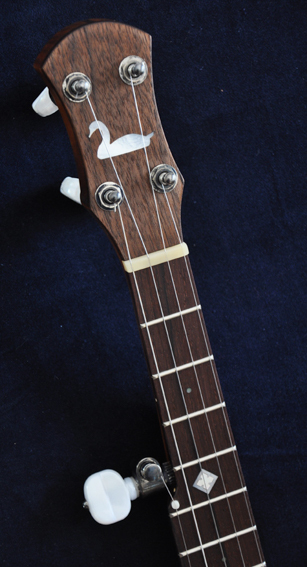 Cherry and walnut neck and pot with a rosewood fretboard. 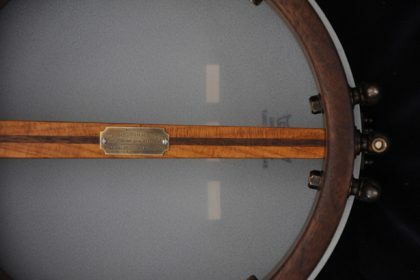 The fretboard inlays are gold mother of pearl inlaid into white mother of pearl. 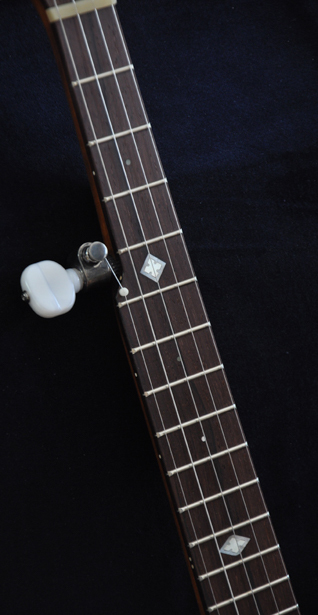 Handles many different tunings well.